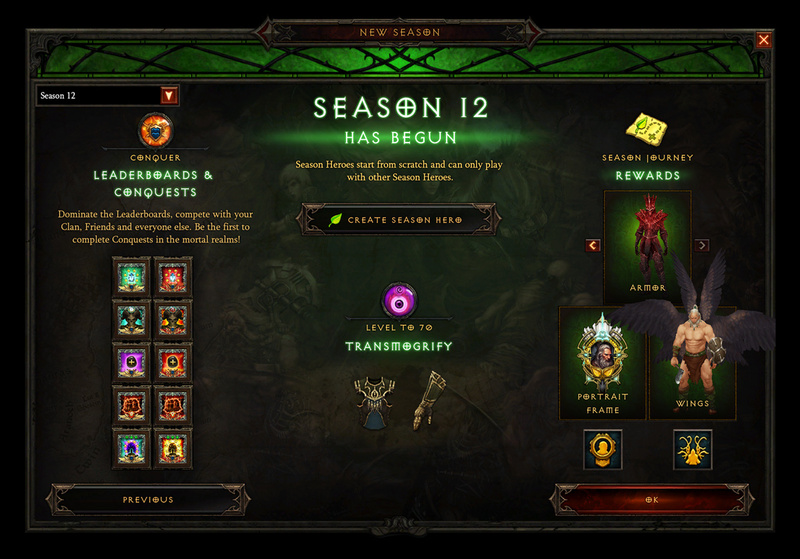 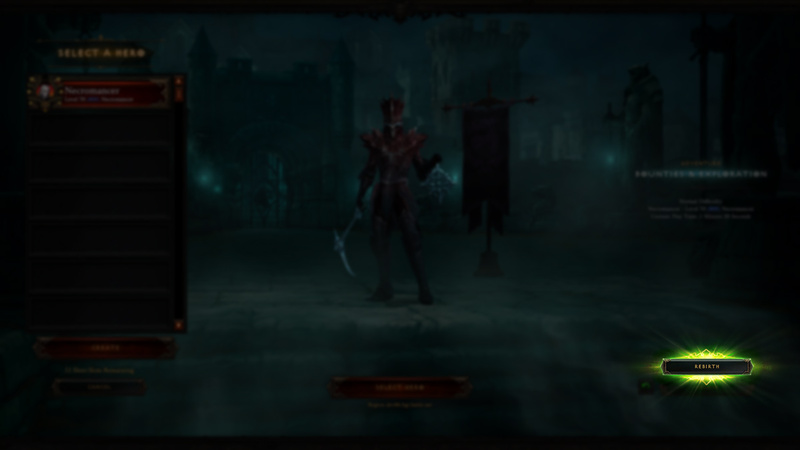 Diablo III Season 12 is now live in all gameplay regions! 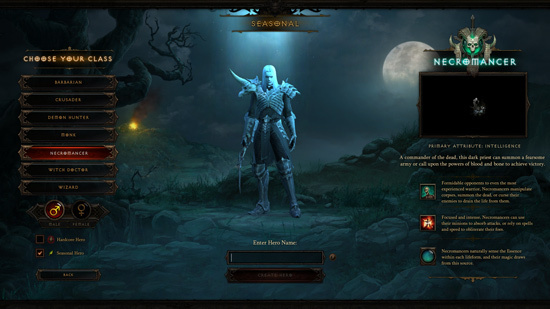 To create a Seasonal hero, choose your class, gender, and name as usual, then select the "Seasonal Hero" option. Alternatively, you can use the Season Rebirth feature to continue your adventures on an existing character by starting over this Season. You can select a character for Rebirth on the Hero Selection screen. 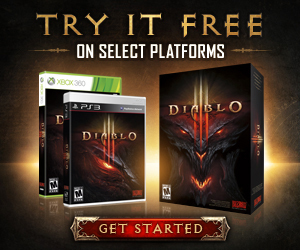 Simply choose the "Rebirth" option to begin your next adventure!